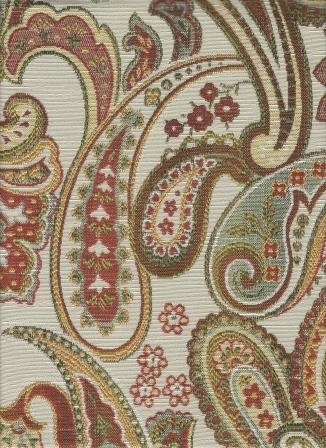 Outstanding contemporary paisley pattern in a great color palette including red, olive, and gold on a white background. Examine this fabric in your home with a sample cut. Repeat: V 31.0" - H 15.0 "